Yep, snapped a shot of the view down from the top of the Eiffel tower! 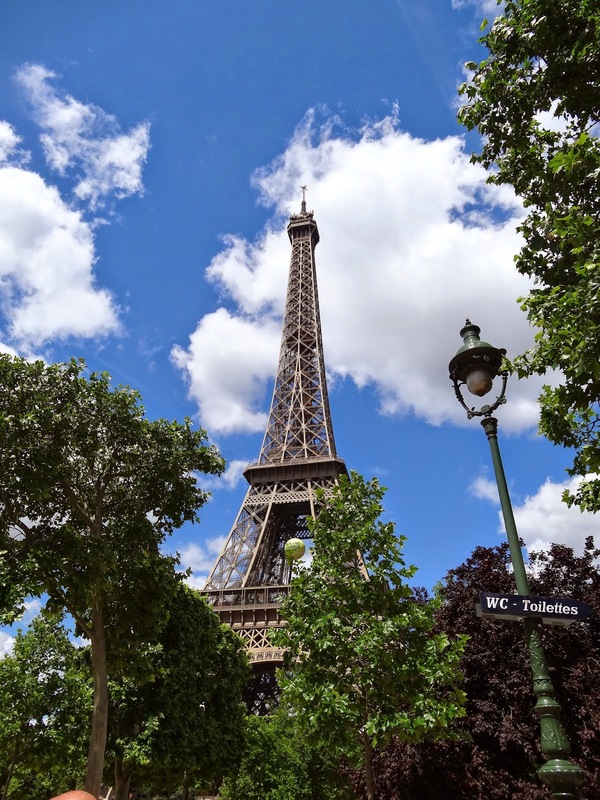 So our second from last day in Paris consisted of visiting the Bastille French Market and then making our way to the Eiffel Tower to climb up to the top! Who doesn't love to see (and wished they owned) a 5kg tub of Nutella? 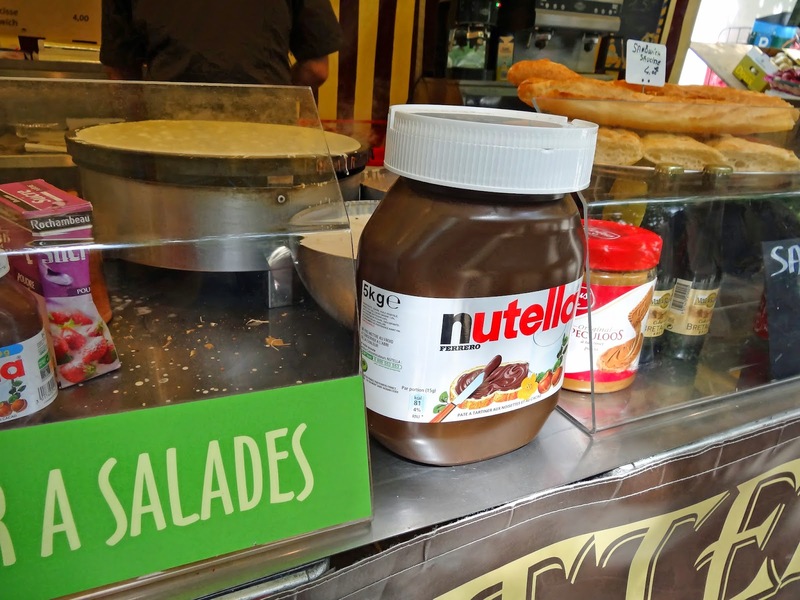 One of the stalls we stopped at was a Crepe stall. The smell of freshly made sweet and savoury crepes was sensational! Michael ordered a 'crepe avec sucre' - I stole a cheeky bite or two from it! It was lush! 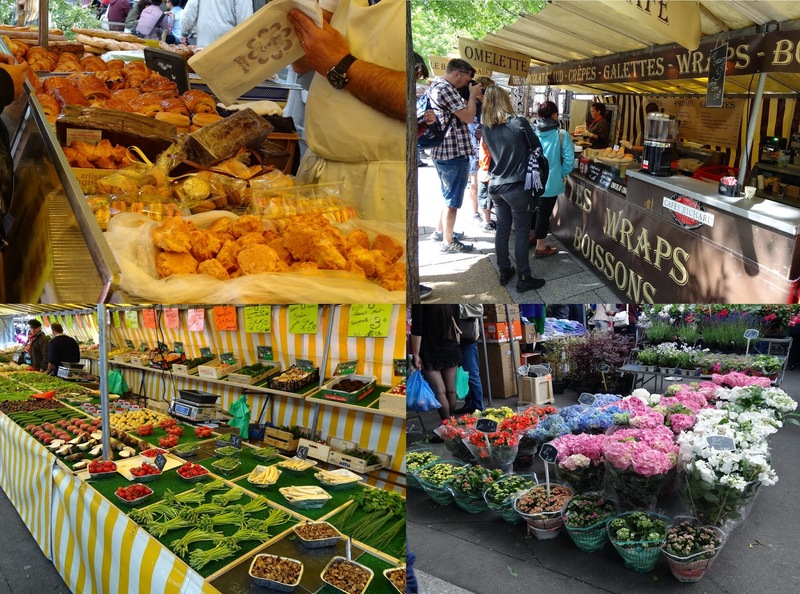 If there is one thing I can recommend if you go to Paris, do visit the Bastille market, its worth it! Of course whilst in Paris we visited the Eiffel Tower! Who wouldn't!? The weather for this was just lovely, the sun was shining but it wasn't too hot! We booked our tickets through Easy Pass Tours who were incredibly friendly and gave us a little info about the monument! I never knew that the tower was a she, or that she was only meant to stand for 6 months, hand painted every 7 years, or that if she wasn't built and another idea was chosen, we could have possibly had a giant pink elephant, or a massive iron guillotine to be put in her place instead! haha! I took many pictures of the Eiffel tower and even the Arc de Triumph - keep an eye out on my Flickr account for the photos!